A local young lad may become Worcester Park's next millionaire for coming up with a new flavour of crisp. 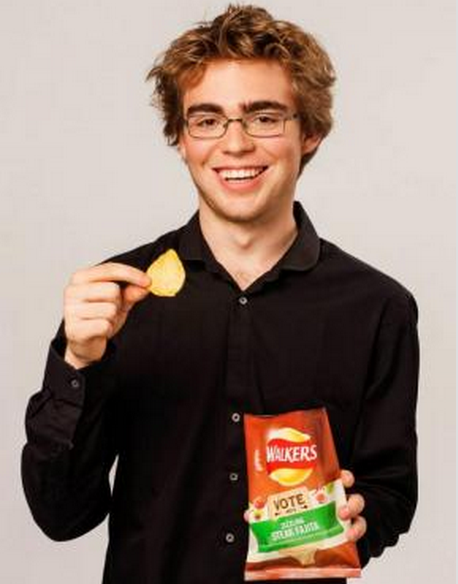 19 year old Jed Pool, has reached the final 6 in a competition to find the next great crisp flavour which is being run by the Walkers crisp company and being called 'Do Us A Flavour'. Jed told the blog he couldn't believe his luck when he found out he had reached the top 6 out of 1.2 million entries. He said the £1 million prize is a "life changing sum of money" and that he will definitely be getting more nervous as the competition draws closer to it's conclusion when the winner is announced on the 20th October. Jed, who is studying civil engeneering at imperial college, first entered the competition in March. He suggested Sizzling Steak Fajita flavour as this is his favorite meal cooked by his Mum. In entering he idly thought it might be nice to win the money so he could go and visit his girlfriend who is living in the United States at the moment, but never thought he might have a genuine chance of winning. Worcester Park has always been a home from home for Jed. He had lived much of his life in Geneva and is now in imperial college halls of residence but his parents are local stock and Jed's grandparents are in Fulbrook Aveue, surrounded by cousins and other family nearby. It's now up to the public to have their say and vote for their favourite flavour to decide the winner. 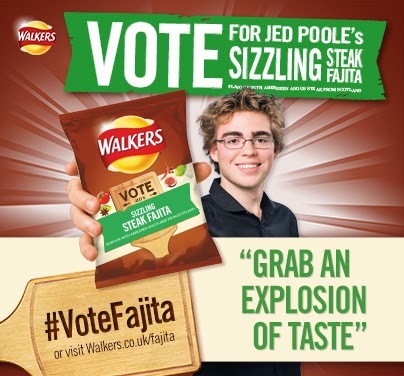 Jed is hoping the community will get behind him and vote for his Sizzling Steak Fajita flavour. Having seen the other flavours I personally think Jed is in with a very good chance. It is certainly my preference out of the 6 flavour finalists. You can see all 6 final flavours here. include the hashtag '#VoteFajita' in a tweet. Apparently you can vote in each way every day (mind you I'm not sure how you can 'like' a facebook page more than once.) So let's see if we can help a local lad achieve his dream - and end up with a tasty new flavour of crisps to enjoy (with a beer, for lunch or however you do your crisps...) too.